^ Nussbaum, Louis-Frédéric. (2005). 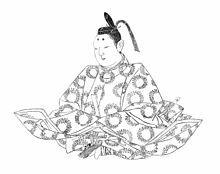 "Fujiwara no Yoritsune" in Japan Encyclopedia, p. 212, p. 212, at Google Books. ^ Titsingh, p. 242, p. 242, at Google Books; Varley, H. Paul. (1980). Jinnō Shōtōki, p. 272. This page was last edited on 18 June 2018, at 17:26 (UTC).